Happy Flag Day! Nice to see you. I hope your Mom's art show is going well. Oh my goodness, Peaches, your expression here is cuter than words could ever describe. 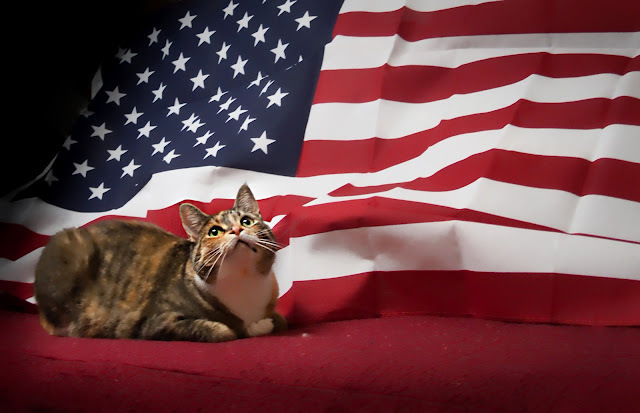 Purrs, and happy Flag Day to you, Paprika, and your mom! We forgot that it was flag day. That is one terrific picture of a flag. And Peaches, you make it just purrfect. Have a great day.